Ugh, it’s hard to believe that this bed used to be gorgeous. Hopefully, I’ll find the time soon to clean it out and take up the plastic. With fall in full swing, it’s a good time to learn how to save seeds of some of my favorite flowers. 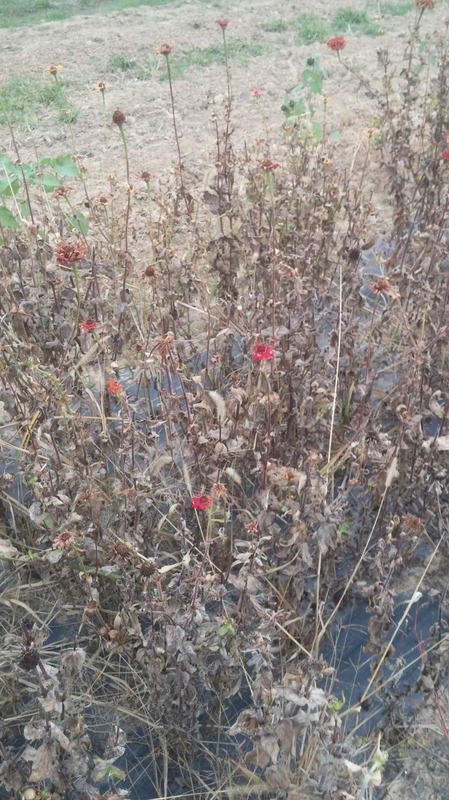 Luckily for me, collecting seeds from many plants is super easy – one of these being, zinnias. 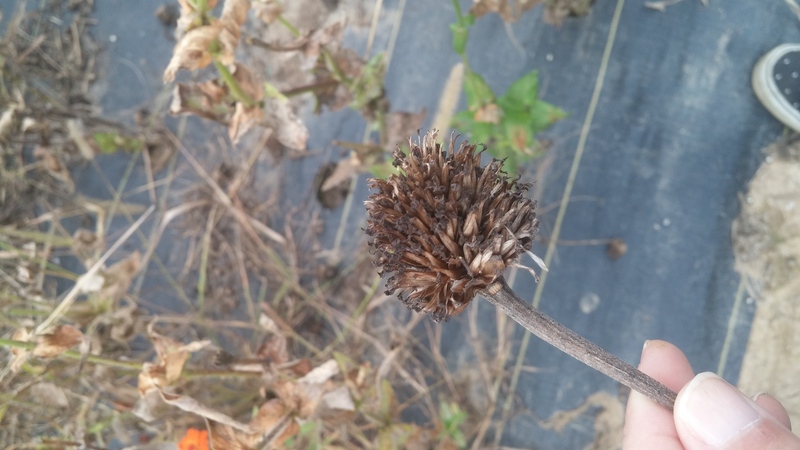 This flower head has turned brown and looks like the perfect candidate to look for some seeds.